Some of these places are so important for humanity that they have been included in the UNESCO list of world heritage. This is the case of the Monasteries of Alcobaça and Batalha, the Convent of Christ in Tomar and Coimbra University. But there are other unique features that are well worth discovering. For example, the historic villages and castles that defended the nation’s borders. The Schist Villages and the towns of whitewashed houses, like Óbidos, a treasure within walls. 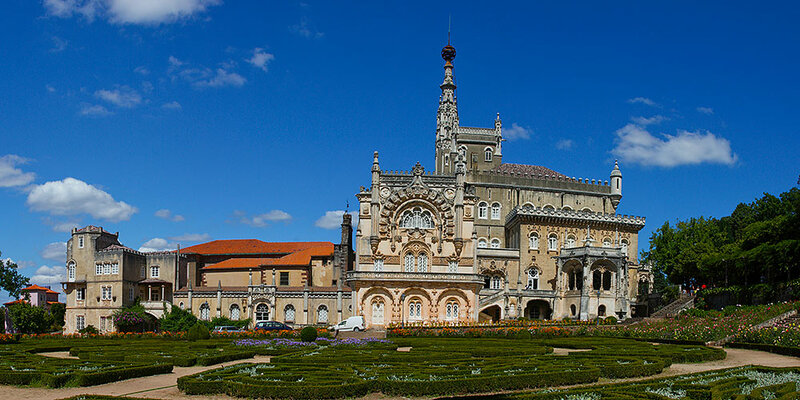 The cities, where modernity is combined with tradition – Coimbra, the university city, Aveiro between the Ria and the sea, and Viseu, Guarda and Castelo Branco, in which the stone architecture retains traces of an immemorial past. Serra da Estrela, the highest peak in mainland Portugal, is the star of the mountains, with its endless landscapes and glacial lagoons. But there are also the Lousã, Açor and Caramulo ranges, where you can discover nature by hiking or by bike. Here you can also try rock climbing, abseiling, rafting or canoeing, for example in the Naturtejo Geopark, a preserved area where several species of birds and animals live.The crystal clear waters that rise from the thermal springs balance the body and soul. And the beaches! River beaches surrounded by forests and coastal beaches open to the Atlantic ocean, provide certain freshness on hot summer days. They are also well known spots for surfers from around the world, who come for the perfect waves in Peniche, and even the giant waves in Nazaré. There are flavours for every palate to comfort the stomach: cheese and sausages, bouillabaisses and roast suckling pig, honey and convent sweets; and for raising the spirits, you can rely on the excellent wines from the demarcated regions. They are all the product of the know-how of the people, who are genuinely welcoming in receiving their visitors with the best they have to offer.